Hello everyone, I know I'm a little early for Halloween. But so many people out there make pictures to fan stories of crossing two of the biggest horror video game series together. Of course this is similar to comparing apples to oranges. For those that never heard or don't know what that means. These two series are incredibly different that I already know this wouldn't work. The best way to determine whether or not an cross over is even possible. We must look at this in every possible angle. Not overlooking anything to determine the big question. Is it possible to cross these two cross over? Most main characters are strong mentally & physically in many situations. Umbrella to several rival corporations do experiments & create deadly viruses. Usually on purpose they release viruses starts killing living creatures to transform them into monsters. At their very core of every recorded viral outbreak. Strong connections in governments is secretly involved. These survivors have to be tactical & brave enough to survive. Their goal is one day no more B.O.W. in the entire world. Most main characters are similar to every day people. They do get scared easily with little to no combat training. The police usually ignores any & all cases relating to Silent Hill. Sometimes an cult called The Order gets involve. Due to an horrible incident, most people that goes into Silent Hill. For unexplained reasons disappear which is half true. What most don't see is these people have to literately go through Hell to survive. Silent Hill some how brings out the worst in people. Most creatures seen by each person that survived is actually based on their fears. They are in another plain of existence rather than the real world. Sometimes this town can affect some neighboring towns. Resident Evil is more tactical while Silent Hill seems more about facing your worst fears. Every monster in Resident Evil was either by an experiment or created by accident. 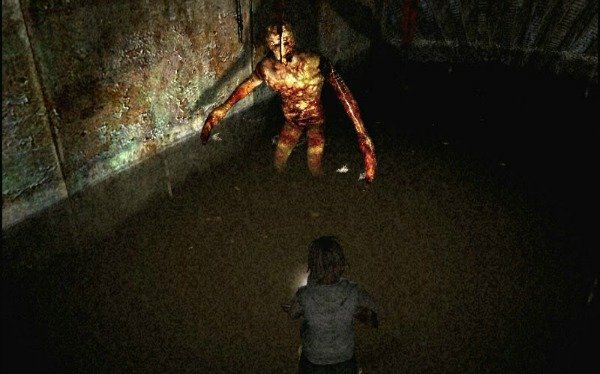 Most monsters in Silent Hill are based on your fears; Most Resident Evil characters are brave, strong willed, well trained & determine. In vice versa most Silent Hill characters aren't brave or trained in anyway. Thus they often get confused during these events. In Resident Evil, these corporations have many powerful connections. In Silent Hill, the police ignored Silent Hill due to many unsolved cases. They usually became to the authorities as an unsolved mystery. Unknown to them, those people were still alive in that town in another plain of existence. Resident Evil takes place in our world while parts of Silent Hill are mostly aren't in our world. To sum it up Resident Evil is more physical while Silent Hill being more mental. Also The Order isn't involved in every case in Silent Hill. When they are involved, they are either trying to please their god or bring it into existence. Silent Hill has more religion involved in these events. Some of which does play into each person in this world. At some degree must use their heads to survive. 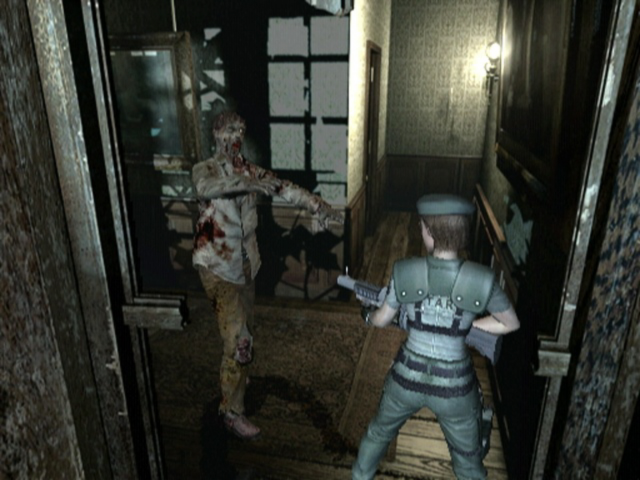 In Resident Evil, don't get infected & fight your way out are your only way to survive. In Silent Hill, the rules constantly change depending on whose in town. This place keeps changing getting more terrifying than the last. Things aren't what you think in this other world. Even with an huge demand from both fan bases. Both game companies behind these series will never agreed to an cross over. First problem is considering all the major differences between the two. It would be very difficult to pull off especially as an game. Second problem is there's no way both companies would agree to share the money earned by doing one. They been rivals for many years with some of the greatest games in existence. Third problem is neither company would allow any fan to make an fan game of this. Fourth problem is since the beginning Silent Hill has multiple endings. Yes it's true there exist Resident Evil games with multiple endings but that's not my point. Silent Hill endings are really mind blowing, scary, confusing or funny. Which Resident Evil has never done an ending like those. They would never finish the game simply because of how would something like this end. Finally the big problem even preventing it from even happening in the first place. Both companies would fear too many consumers of their games would stand up to this. We are talking several petitions, threats, confusion among fans and a slight chance of getting into an lawsuit. Yes Konami owns Silent Hill & Capcom owns Resident Evil. Yet if enough decided to go to court over this cross over happening. In many ways both would lose millions of dollars over an issue like this. There's so much going against it that we very unlikely won't see an real cross over. I figured this would be interesting to talk about on such an great holiday. Happy 4th of July everyone and I also put an rant video about Bleach on my YouTube account. Until next time I'm Jack Red & I'll see all of you later.